Powell utilizes an interdisciplinary team approach to chemical dependency treatment, continuing care and after care. Kimberly is the Program Manager for Powell CDC and brings a wealth of experience in guiding successful substance abuse treatment programs. Kim is a Licensed Marriage and Family Therapist, Certified Employee Assistance Professional, and an Advanced Chemical Dependency Counselor with 30 years of experience. She has been in Des Moines for sixteen years and lived and worked in Los Angeles, CA, and eastern Iowa prior to that. She is very involved in church and also enjoys running, swimming, and entertaining in her leisure time. She is married and has a son and daughter. John is the Clinical Supervisor for Powell CDC. He is a Certified Alcohol and Drug Counselor, has a Bachelor's Degree in human services, and is in pursuit of his Master's Degree. John started at Powell CDC in June of 2013 as an intern. He was then hired as a residential treatment and intensive outpatient counselor. John has a history of being a successful business owner for 14 years and has experience in human services working with Iowa Workforce Development, the Veterans Affairs Hospital and serving in the military. He knows that much of his life success is due to his life in recovery, which shows in his passion for helping others achieve the same. John is married and has two daughters. I have had the privilege to serve as Medical Director at Powell since 2012, taking over from Drs. Dennis Weis and Stan Haugland. I am a Des Moines native, and I completed medical school at Des Moines University before completing my residency at Iowa Lutheran Hospital Family Medicine Residency. I am also board certified in Addiction Medicine. Powell is the most comprehensive chemical dependency center in Central Iowa. 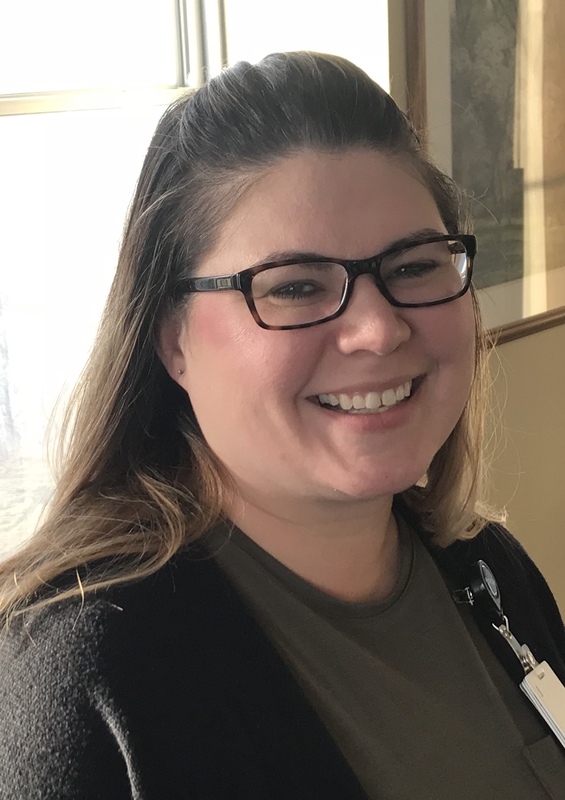 Sara graduated from the University of Iowa with a Master of Science in Nursing and is certified as a Family Psychiatric/Mental Health Nurse Practitioner from the American Nurses Credentialing Center. She received her BSN from Grand View University and a Bachelor of Science in Child and Family Services from Iowa State University. Sara has excellent experience with mental health and substance abuse treatment both in the hospital and community settings. Sara has also worked as a social worker and is an extraordinary advocate for people in need of help. Jennifer is a psychiatric nurse practitioner on the medical team. She heads up Powell CDC's Medication-Assisted Treatment (MAT) Program which began in April 2018. This new program helps patients addicted to opioids and integrates seamlessly with Powell's existing programming. Both medication and medical monitoring help to manage withdrawal symptoms and improve treatment outcomes. Jen has been with Unity Point Health for eight years, serving in Cedar Rapids before joining the Powell medical team. Deb has worked in the addiction field since 1989. She began as a counselor at the Center for Alcohol and Drug Services in Davenport, Iowa, working with adults in an outpatient setting, and then as the case manager in a women's program. 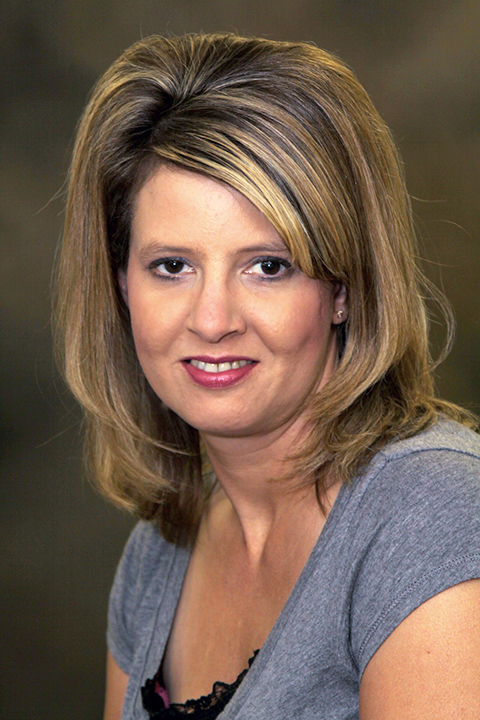 She joined Powell CDC in March of 1999, as an evening outpatient counselor, then as a family counselor. She has been a day treatment counselor since 2002 working with outpatient and residential patients. Deb has a Bachelor of Science Degree from Upper Iowa, and an Associate of Arts Degree from Mary Crest College in Davenport, and she is an advanced certified alcohol and drug counselor (ACADC) in Iowa. Anthea, more commonly known as Annie, is a CD Therapist with Powell CDC. Annie currently serves as a counselor in the residential & intensive outpatient treatment program. She has worked at Powell since 2013; she has worked in the addiction counseling/social services world since she was 18 years old. Annie has a spunky, vibrant personality that helps her win and keep the friendship and respect of her peers and those that she counsels alike. Annie Mauldin describes herself as having a creative approach to counseling. Gina joined our counseling staff in September 2018, working with inpatients and daytime outpatients. Gina began here at Powell in 2012 as an intern, prior to completing her certification in chemical dependency counseling at DMACC. She is a graduate of Iowa State, and holds a bachelor's degree in psychology. She has worked in the substance abuse field in central Iowa since 2012 with a variety of clients in different stages of recovery. She is a certified addictions counselor, a certified gambling counselor, is passionate about educating people about addiction, and believes in meeting people where they are when it comes to treatment and recovery. Chelsey joined the Powell team in January 2019, working with inpatients and daytime outpatients. She has been a substance abuse counselor since 2012 and holds an IADC(International Alcohol and Drug Counselor) certification. She obtained her undergraduate and master's degrees from the University of South Dakota and is currently pursuing her Doctor of Philosophy in Psychology with an addiction psychology specialization at Capella University. Prior to coming to Powell, Chelsey worked with a variety of clients including adolescents and adults at a residential level of care. Dee has served at Powell CDC since July 12, 1994, and has been in the addictions treatment field for 30 years. She loves her work at Powell and has great care and concern for others that is clearly demonstrated in her work with clients. Dee's patients often comment on how much they appreciate her very direct and yet caring style of counseling, and credit her for making the difference in their care. She is an advanced certified addictions counselor. Lila has been a counselor with Powell CDC since 2010. Lila's journey with Powell started back in 1990 when her husband completed Powell's treatment program and Lila completed the family program. Her own sobriety date is January 1, 1986. Lila is a committed member of the Twelve Step Program. She believes in serving others and has been an active member of the Powell Alumni Council in the past, serving as chair of Powell's Sober Under the Stars in 2014 and 2015. Lila has a Master's Degree in Communications Media and brought the Powell App and daily text messages to over 600 Powell Alumni as Aftercare Coordinator from 2010-2016. Lila co-hosted Recovery Monday, a UnityPoint Health sponsored local recovery radio show/podcast from 2013-2015. Jodi joined the staff in September 2018. Her down-to-earth style both complements the team and helps build connections with patients. Jodi's professional journey at Powell began in 2016 when she worked as an intern, however, she credits Powell as having been a stop on her own road to recovery, about which she is very open. She has worked in the substance abuse field since 2015; she is a certified addictions counselor, a student, a mom, and an active member of Narcotics Anonymous. Laura began at Powell CDC in the counselor training program in 2011. She helped develop and implement weekend programming at Powell CDC, worked as a family counselor, an adolescent coordinator, a residential treatment and intensive outpatient counselor, and transitioned to the Aftercare Coordinator position in 2017. She manages communication around Powell's special events and social media; serves as the staff liaison for the Alumni Council; develops, designs, and writes the quarterly Powell newsletter; trains facilitators; and oversees 18 active Aftercare/Growth groups at Iowa Lutheran and Methodist West. Laura's professional background is in corporate training and PR, service and hospitality, education, and broadcast journalism. She believes recovery is a lifelong process, and is eager to help you find what works for you. Her Bachelor's degree is from the University of Nebraska, and she is a Certified Addictions Counselor. Teresa is the Family Services Coordinator and Powell CDC Counselor Training Coordinator. She has knowledge of how family and relationships are affected by addiction and is compassionate to help them communicate and begin the healing process. She received her BA in Social work from the University of Iowa. She is an International Alcohol and Drug Counselor with 40 years of experience. She loves being outdoors, working in her flower garden, entertaining, traveling and is involved in church groups. She is married and has a married son and two grandsons who she enjoys Face Timing with. Kristin holds a Bachelor of Science in Human Services, a Master of Arts in Marriage and Family Therapy and is a Certified Alcohol and Drug Counselor. Kristin's first contact with Powell CDC was in 1997 when she participated in and graduated from Powell's former Codependency Treatment Program. She went on to attend the Powell Facilitator Training Program and facilitated codependency support groups for several years thereafter. Kristin completed the Counselor Training Program in 2015, and joined the Powell team in January 2016. She is now a full-time Marriage and Family Counselor serving in Powell's Family Program. She has a passion for helping individuals and families on their journey to healing and wholeness. Her intuitive, warm, and accepting nature assists her in supporting individuals and families through the process of restoring relationships. Amy has been a Care Manager with Powell CDC since 2008. She has a Master of Arts degree in mental health counseling from UNI, and is a licensed mental health counselor and certified alcohol and drug counselor. Amy works in the admission and assessment process to help clients and families begin substance abuse treatment. She works closely with the Powell team in determining treatment options and recommendations for clients and their family members. 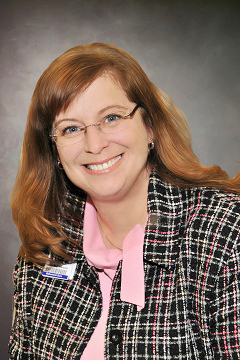 She also helps clients understand and manage their insurance benefits during treatment. Getting started in treatment can feel frightening and overwhelming in this changing world. Amy is one of the first people you may talk with for treatment at Powell. She is eager to help you explore what Powell has to offer in recovery from addiction. Stacy is one of the Care Managers at Powell CDC. She has worked at Powell since 2008 and has held multiple roles including substance abuse counselor. Stacy has been a past Powell patient and after getting sober, completed her AS degree at DMACC where she also worked 1000 hours in Powell's counselor training program in order to get her CADC. Stacy went on to complete her BS degree at Grandview and then a MS degree in mental health counseling at Drake University. Stacy really enjoys the work she does at Powell and feels it is a calling to help people with addictions/alcoholism get the help they need. She understands what it is like to have the struggle within the family system of addictions/alcoholism and is always willing to talk to people about getting the services they need to maintain long-term sobriety. Hannah is a Care Manager on the Powell CDC team. Hannah joined the team in 2017. She has a Master of Arts degree in Marriage and Family Therapy from Pacific Lutheran University, and is a licensed marriage and family therapist and certified alcohol and drug counselor. She works with patients and families to complete initial assessments and help them understand treatment. She has worked in the behavioral health field for over a decade and specializes in crisis response and case management in short-term disability. Jerry works at Powell CDC as a mental health therapist and has more than 40 years of experience treating addictions and mental health disorders. Jerry worked at Powell CDC from 1980 until 1995 as a substance abuse and family counselor. He returned to Powell CDC in 2009 after working in a private practice for 15 years. 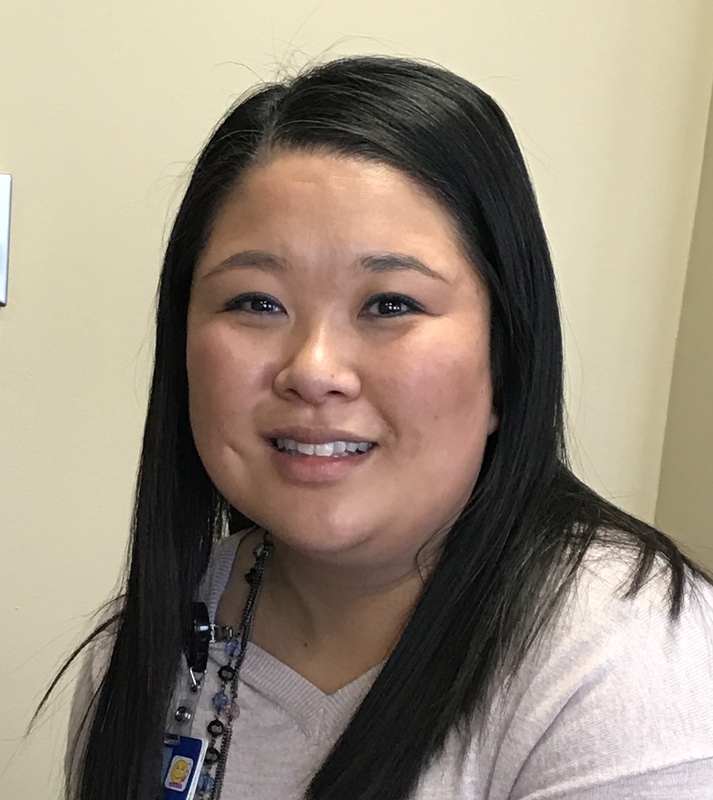 Jenny joined the Powell CDC team as a mental health therapist in January 2019. She earned her Bachelor of Science from Simpson College in 2011 and her Master of Social Work in 2016 from the University of Iowa. As a social worker, Jenny's experience ranges from working within the child welfare system to working with those dealing with chronic mental health and developmental disabilities. She is passionate about the need for trauma-informed care, and is a firm believer in addressing mental health needs during substance abuse treatment in order to help set clients up for success. When she is not at work, she enjoys spending time with her dogs and knitting.